Ever since the original X-Men have been brought to the present, there have been many interactions that have been begging to be played out between the young and older versions. Until now, things have been keeping the team busy enough to avoid most of any thing else. Now with the team back from their trip to space rescuing Jean Grey, it gives the team to cool down and reflect. It also gives Jean a moment to think about her feelings towards young Scott and him leaving the team, which leads to a wonderful conversation between her and the older Scott. After waking up screaming from a nightmare of herself becoming the Phoenix and killing all of her friends, older Scott comes into the room to comfort her. They finally get a chance to talk about everything that has happened to her, and what is supposed to happen to them. Young Jean even seems to have a thing for the older, more mature Scott, something that he quickly squashes. This does not mean Kitty doesn’t give him a little grief about it after he leaves Jean’s room. Scott’s departure also has made X-23 reconsider staying on board, as she has had a crush on young Scott. Angel sees her leaving as he flies above and tries to get her to reconsider. To upset, she refuses to stay. When she leaves, in her emotional state an enemy is able to get a jump on her. Angel make it back to the base to tell everyone that X-23 has left. Kitty insists that they must go find her, but X-23 actually crawls back injured to warn them of the danger coming. There have been a few chances for some of the other characters to interact with the younger X-Men, but with Scott being the reason they were brought, it was nice to finally see him have a nice chat with Jean Grey. I would have enjoyed seeing it go on for a few more panels as well, you heard a most of this from how Jean is doing, it would have been nice to see him dealing with having his ex-wife’s younger-self there. What I did not enjoy was Kitty’s little talk to Scott. She made the decision to join his school, which I never bought to begin with, but they need to cut back her attitude with him a little bit. Speaking of another thing I have not really been sold on is X-23’s crush on young Scott. Especially to have it to the point where she was upset enough to leave. If nothing else, it does set up the next threat, or old recent threat. While I won’t spoil things quite yet, the last page reveal does show that things are going to get pretty bad for the school, beyond the Sentinel threat they are facing in Uncanny. My hope is that this book will eventually give the younger team all a chance to interact more with the older Scott. 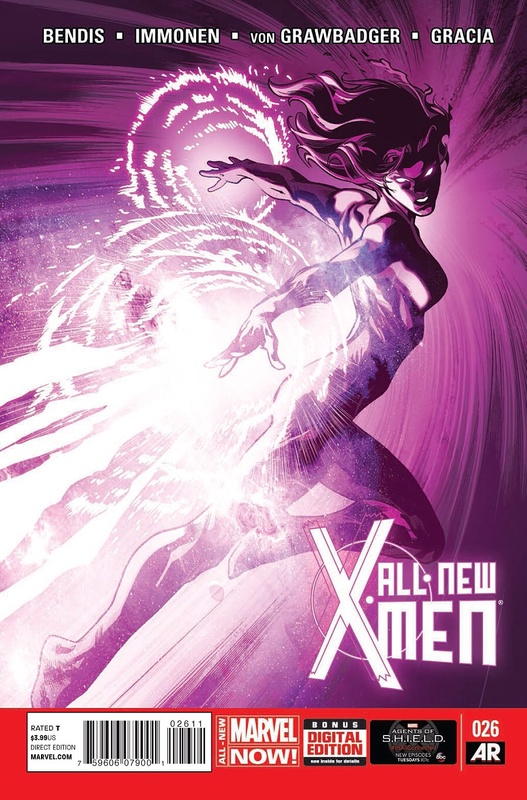 There has been way to much dumping and hating of Scott by his former friends since Avengers vs X-Men; heck, Jean Grey never got that much crap after turning into Dark Phoenix as he does now. It would be nice for the whole team to have some sit down with him to find out he is not the man older Beast lied and told them he was. For a cool down issue it was excellent, for a setup to the next big threat, I can’t wait until next issue. If you were not a fan of the X-Files during its original run, this series might not change your mind. That is only because Joe Harris has been doing an excellent job to keep the feel of the original series. He also has been giving us some of the best aspects of the original series. Scully’s son, check. The Lone Gunmen, check. the Cigarette Smoking Men, check. This issue now brings us yet another recurring element and character from the series for fan-boys to get excited about. 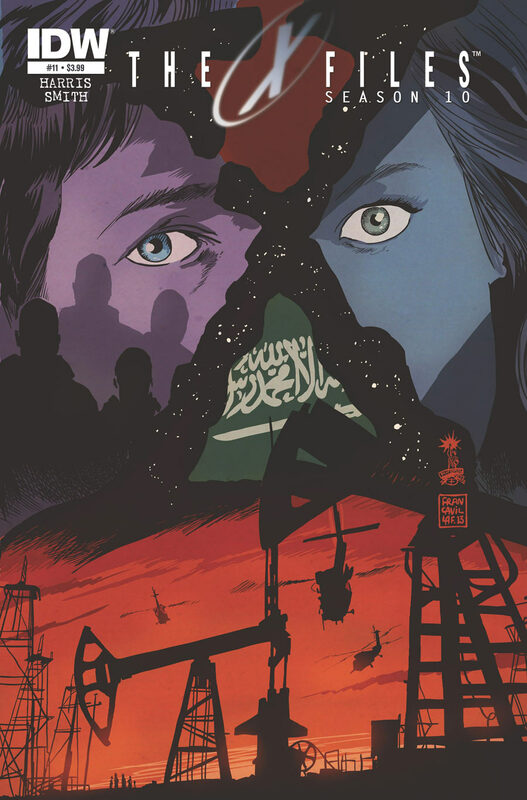 In Saudia Arabia, an American oil field is attacked by terrorists. A mystery man is with the terrorists and takes the leader to a cavern where two scientists are studying a substance they had found below. The terrorist shoots one of the scientists in the head, but the mystery man stops him from shooting the second. The terrorist terrorist than steps into something below, which happens to be the black oil, or for the uniformed, is an alien created virus. The mystery man tells the surviving scientist to run as he blows the cavern up. With no current X-Files on their case load, Mulder and Scully, along with Assistant Director Morales, are assigned to investigate the terrorist attack. They find that the Saudia police are not to cooperative, so try to find some answers themselves. Scully makes her way to the hospital to interview some of the survivors to see what they knew. She notices that one survivor is being held under guard and is not allowed access. Pulling the fire alarm, the guards run to check for a fire while she sneaks in. The survivor is the scientist who managed to escape, just badly burned and being contained in case she has been in contact with the black oil. She tells Scully of the mystery man, making her wonder who that could have been. Meanwhile Mulder has taken some of the surveillance footage from the oil field and uploads it to the Lone Gunmen as he believes the footage has been tampered with. They do find a discrepancy for him, as the footage shows the mystery man suddenly appearing in on of the terrorist jeeps as they break through the gate. As he learns this information, he is attacked by unknown gunmen. Escaping from the cafe, he finds the mystery man waiting to apparently help him, someone who was a huge recurring character throughout the show’s nine seasons. The black oil was always one of the more fascinating things from the show, and first movie for that matter. Seeing it enter back into the picture was a joy, which hopefully will give Mulder and Scully time to investigate it even further than before. The mystery man coming back into the series was even better. It was a character I always enjoyed and it seemed to seal the deal that we will eventually get just about everything from the show that we could want to pop back up in the new season. I was a fan of the Lone Gunmen is the X-Files and their own one season show, so I could be happy seeing them pop up in every issue. Harris has been doing an excellent job of staying true to the show by taking aspects from it’s television run, but then continuing and expanding them in the comic. Before Season 1o began, I found myself sad that at this rate we may not get to see Mulder and Scully reunite for another go around in theaters. This far into Season 10, I can say that if they don’t get a movie off the ground, this is a substitute that is just as good, if not even better. 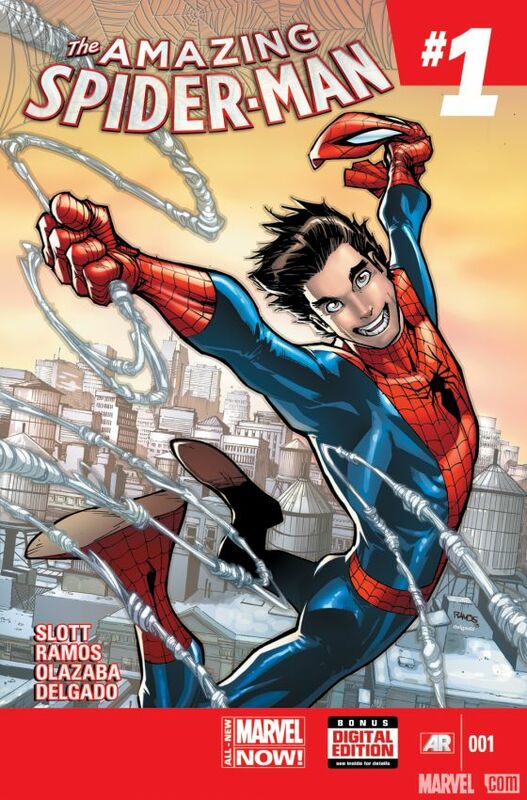 With as much hype as Marvel gave this book you would think this would be one of the best Spider-Man books in years. Unfortunately, it was a let down. While it was nice seeing Peter back, they didn’t give him a grand story to return to. Instead we are given numerous setups for what is coming, not what is happening now. Shoving Inhuman #1 in the back doesn’t help things when the book costs $5.99 already. No matter how much Marvel wants me to care about the Inhumans, I just can’t. After the fantastic original Origin mini series, I was extremely excited for a sequel explaining what happened next, assuming it would be equally interesting. Instead we’ve been given this half hearted story. This issue wraps the story up, but remains unsatisfying as the rest. 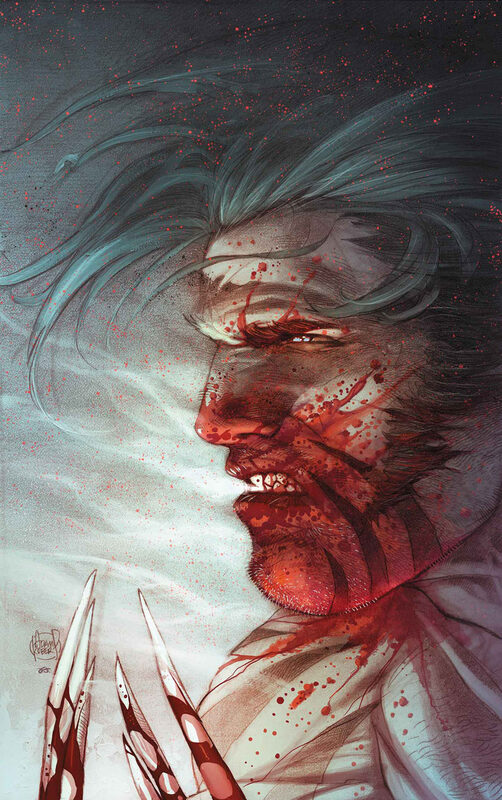 I will admit the last page was a bit of a surprise, and gives Sabertooth and Wolverine a reason to be constantly battling. Still, even it felt a little shoehorned. 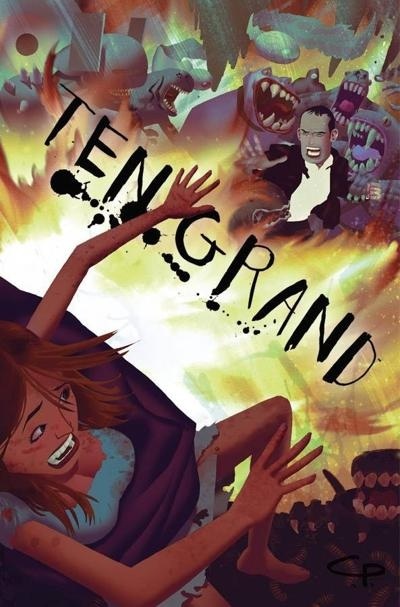 Ten Grand has been one of my favorite books each month, but sadly I just did not like the latest. Joe has finally found his dearly departed wife’s soul in hell, but instead of anything moving forward, you get the main villain explaining everything out step be step, being sure not to forget anything. It does make the next issue sound eventful, but this issue just seemed to stall when you take into account how much action has been in every other issue than this.